Electric vehicles (EVs) help decarbonize transportation because they are more efficient and use a cleaner fuel than the internal combustion engines they replace on the road. At the same time EVs reduce carbon emissions, they also dramatically reduce harmful smog-causing pollutants and vehicle soot. EVs also help to decarbonize the electricity sector, because they can be managed to maximize the use of zero-carbon renewables like wind and solar. Thus, while electricity as a transportation fuel is getting cleaner every day, EVs can help speed the decarbonization of electricity. How do we seize the benefits EVs promise? Consumers are the key. Decarbonization of the transportation sector through electrification depends on the consumer. State leaders and private sector actors must work to create a consumer ecosystem that encourages consumers to buy EVs. Purchase incentives and tax credits have increased EV adoption in states like Colorado. Purchase incentives will be helpful as long as EVs cost more than comparable internal combustion engines. Over time, as batteries improve and battery costs drop, these purchase incentives can be phased out. This road map is the second in a series illustrating pathways to decarbonization for different energy sectors. 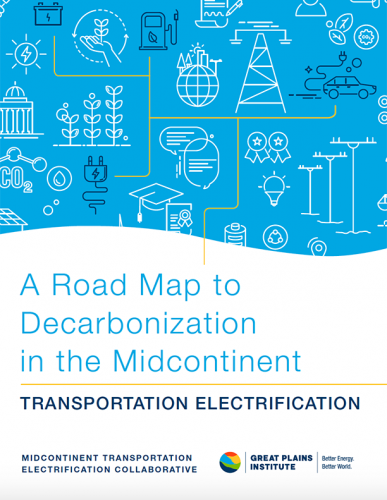 What is the Midcontinent Transportation Electrification Collaborative? 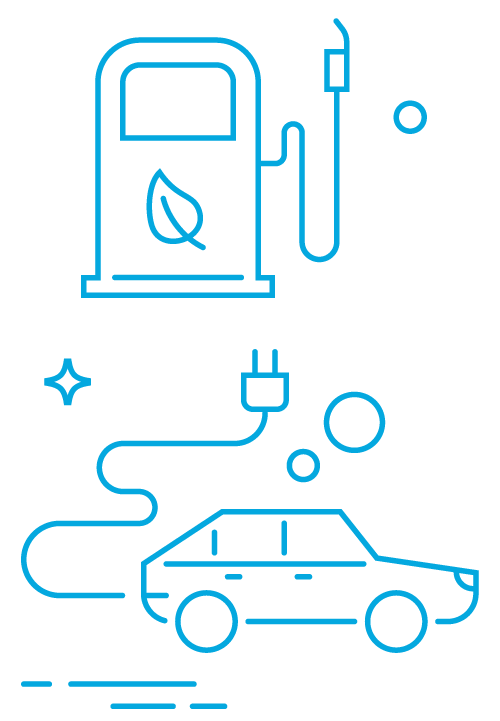 The Midcontinent Transportation Electrification Collaborative (MTEC) is a diverse coalition working to speed the adoption of electric vehicles in the Midcontinent region because electrification is essential to decarbonizing the transportation sector and will bring many additional human health and economic benefits. MTEC consists of automakers, electric utilities and cooperatives, electric vehicle charging companies, environmental groups and state officials from the region, facilitated by the Great Plains Institute. 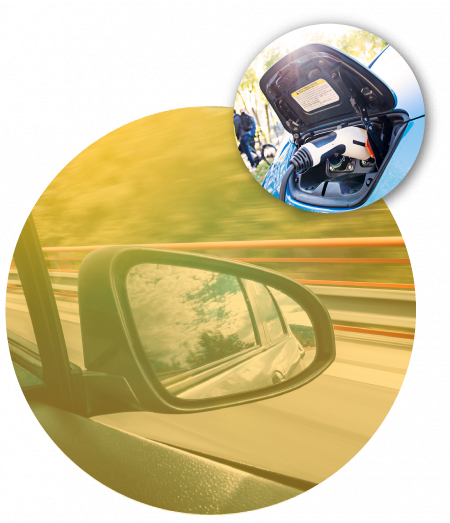 Because widespread adoption of electric vehicles is more likely to happen with additional public and private initiatives, MTEC makes a number of recommendations for near-term investments and policies to accelerate EV adoption. Great River Energy and its member-owner cooperatives encourage end-use members to pursue electric uses that meet three criteria: save consumers money, reduce greenhouse gas emissions, and improve the overall efficiency of the electric grid. After modifying its electric generating resources in ways that have led to a 27 percent reduction in carbon dioxide emissions since 2005, the cooperative believes that significant greenhouse gas reductions can be realized by electrification of the transportation sector. An introduction to the specific initiatives of Great River Energy within the transportation sector is below. Beginning in the fall of 2017, some Minnesota students were transported to and from school on an all-electric school bus as part of a first-of-its-kind pilot project in the state. This opportunity was possible through a collaboration between Schmitty & Sons, Dakota Electric Association, and Great River Energy to demonstrate a battery electric school bus in a cold-weather climate as well as on longer suburban and rural routes. Great River Energy and its member cooperatives helped establish Minnesota’s first EV charging corridor. Interstate 35 now has a series of fast-charging stations that can charge an EV in about 30 minutes. Charging infrastructure along Interstate 35 allows more EV drivers to travel between the Twin Cities and Duluth. Plans are currently underway to install additional charging stations farther north to allow travel by EV along the popular North Shore area of Lake Superior. Great River Energy’s member cooperatives offer free wind energy to fuel EVs owned by cooperative members. The Revolt program dedicates wind energy to completely cover the electricity used to fuel an EV for the life of the car. Households can have up to four EVs enrolled in this program. The program began in 2015 and has been extended each year, now through 2019 due to its popularity.